This entry was posted in Reels by Readers. Bookmark the permalink. David, it must be exciting to have such an inspired follower. His ingenuity is unbound. Yes. I hope that you watched his videos. Good humor. This is awesome! 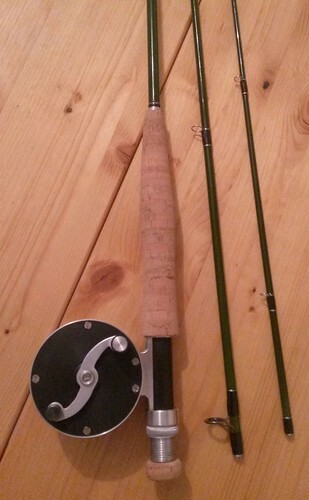 I know I probably haven’t looked around well enough but would happen to have a full set of drawings for a spey size reel? I would be very interested in machining one at my high school as I have access to both a lathe and mill. Thanks! I did not see any indication of a plan set. His videos indicate that he is one of these guys that can work from just rough hand sketches. First of all, thank you for the kind words! Dave, you guessed it right, I usually work straight from my mind with the odd napkin drawing in case it gets conplicated, for example hole patterns. But Erick, I would offer you to drop you an email in the next few weeks(going on vacation tomorrow) and I ‘d provide you with some handmade drawings that you can either convert to a full set of working drawings(because I’m too impatient to learn CAD) or maybe these drawings might even be enough for you to work from. I would love some drawings to started off of. My email is ericksfishing@gmail.com. Thanks again!